Myopia can have a negative impact on a child’s ability to do well in school and to reach certain developmental milestones. Children diagnosed with myopia at an early age are more likely to experience progressive vision loss throughout their lives. Increasingly, young children are being diagnosed with myopia or nearsightedness (unable to see things in the distance well). This trend greatly worries parents has it can have a negative impact on a child’s ability to do well in school and to reach certain developmental milestones. A new study points the way towards a cure. Researchers at the University of Guangzhou in China have recently published a paper in the Journal of the American Medical Association that suggested an additional 40 minutes outside every day could greatly a child’s eyesight. The team tracked 1,903 students in grades one through twelve in twelve different schools for three years. Six of the schools had children spend extra time outdoors; the other six kept the regular schedule. Parents in the former group of schools were also encouraged to take their children outdoors after school and on weekends. The control groups parents acted as normal. The researchers found that after three years in the program, there were ten percent fewer cases of myopia in schools that encouraged outdoor activity- 30 percent of students in the test group were diagnosed with myopia compared with 39.5 percent of students in the control group. “Thus a delay in the onset of myopia in young children, who tend to have a higher rate of progression, could provide disproportionate long-term eye health benefits,” said the researchers. Scientists believe that sunlight positively affects the retinal dopamine neurotransmitters that are important for controlling the growth and development of a child’s eyes. The need to find out the cause, as well as a cure, for myopia in children especially pressing for many Asian countries – 90 percent of high school graduates need glasses to see clearly. Only 20 percent of the Chinese population was nearsighted 60 years ago. 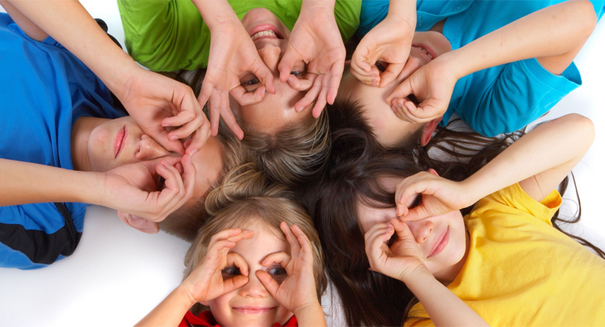 Myopia among children is also on the rise in Europe and the Middle East. Many believe that the root of the problem stems from limited time outdoors in the early years of life. Children diagnosed with myopia at an early age are more likely to experience progressive vision loss throughout their lives.